I am an Orthodox Christian. In the West, people often find this a confusing statement. Many feel that you have left out the necessary qualifier: “Do you mean Russian Orthodox or Greek Orthodox?” How are we to define this word “Orthodox” in a way that transcends and yet accounts for ethnic backgrounds? 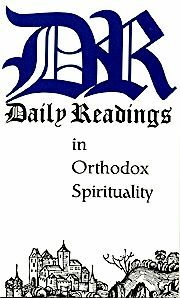 What sets apart the Orthodox from other Christians so that we find a book of readings which singles out the “Orthodox” tradition? The purpose of the present book, aside from providing texts for reading and contemplation, is to introduce, explain and celebrate the rich and joyous breadth of the Orthodox tradition. Softbound. 94 pgs.